Electrophysiology study (EP test or EP study) is a nominally invasive method that measures and checks the electrical conduction system of heart in order to assess the electrical activity and conduction of the heart. Every beat of the heart is preceded by an impulse of electrical energy that is rapidly conducted through the heart in an orderly manner. Cardiac Rhythm problems are a common cause of morbidity and mortality. These may be brady or tachy – arrhythmias. Brady arrhythmias may be due to degeneration of the sinus node (sick sinus syndrome) or of the AV Node and conduction system (heart blocks). An EP study that measures the time intervals of conduction can easily identify the problem and is indicated in cases of syncope with: 1) prolonged PR or 2) LBBB and in patients with 3) Symptomatic sinus pauses or 4) sudden dropped beats due to AV block. Tachycardias and ectopic beats may arise from problems in impulse formation like increased automaticity or after depolarization of cardiac tissue that can be ablated. The vast majorities of regular tachycardias are due to re-entry during impulse conduction. Re-entry is mechanistically the commonest cause of death because most of the mortality in the early hours of MI and those that arise later in LV Dysfunction are re-entry Ventricular Tachycardias (VT). The re-entry is around a natural barrier like crista terminalis in Atrial Flutter, or around a scar of an old MI or around acutely ischemic tissue in an acute MI. Re-entry can be between two parallel conduction pathways like the slow and fast fibers that lead to the AV Node (producing AV Node Reentry Tachycardia: AVNRT ) or between the AV node and an accessory pathway in WPW or AV Re­entry Tachycardia: AVRT. These circuits can be mapped and ablated in most cases. However if there are too many re-entry circuits that may lead to death in the setting of LV dysfunction an AICD provides the answer. An Electrophysiology study (EPS) is very similar to an ECG. For example lead I of the ECG denotes the electrical voltage difference of the heart between the left and right hands (a dipole). Imagine this dipole is only 4 mm apart on an EP catheter. It will measure electrical activity locally. Also a large number of such electrodes can be put on multiple catheters that are then introduced into the heart through the femoral veins. This way an electrical activation of the heart is obtained. Radio-frequency energy is transmitted to the tip of an ablation catheter from a generator. From the tip it travels to a patch placed behind the back of the patient. It is therefore similar to cautery. The tissue is damaged in a radius of a few millimeters at a temperature of 55 degrees or more. The lesion formation can be stopped immediately by stopping the RF energy. Almost all Supraventricular Tachycardia (SVT) (those with a narrow QRS) can be ablated with a success rate of more than 98% with hardly any recurrences. This way it is one of the most rewarding therapies available in medical science. Radio – frequency Ablation (RFA) is usually offered as a first line treatment for patients with SVT. This avoids the need for lifelong treatment with drugs. Also a recurrence on drugs may produce more hypotension. Drugs like amiodarone and Sotalol are of course too toxic to be used long term for SVTs. Paroxysmal AF has a short term cure rate of 75% with ablation and can be offered as a first line treatment to prevent disease progression to permanent AF especially in the young symptomatic patient with lone AF. Ventricular Tachycardias (VT) are divided into two groups; those with a normal echocardiogram/ cardiac MRI (Idiopathic VT) & those with structural Heart Disease. VTs in structurally normal hearts can be ablated with results similar to SVTs. The most common are RVOT VTs and LV Fascicular VTs which can be easily recognized on the 12 lead VT ECG. shell is created. Scar is detected by areas of low voltage. This allows us to see electrical circuits around areas of scar. An Ablation line is drawn across the circuit to prevent re-entry. Although very effective, new tachycardia circuits can appear later and as VT is life threatening the usual treatment is with an AICD. Ablation is very useful if the VT is monomorphic (indicating a single circuit), to prevent recurrent shocks from the AICD and can be lifesaving in VT storm. Patients with Left Bundle Branch Block and a QRS width of >150 msec are candidates for Biventricular Pacing, if they have symptomatic LV Dysfunction. During LBBB, the lateral wall of the LV is activated so late that by the time this area starts contracting, the septum is in diastole. Due to the slow conduction systole is prolonged and diastole is reduced. In Cardiac Resynchronization therapy (CRT) a pacing lead is inserted percutaneously into a branch of the Coronary sinus vein which overlies the lateral part of the LV. 70% of patients improve quite dramatically with improvement in EF, symptoms and longevity. Most patients with severe LV dysfunction die of VT/VF. To prevent this an Automatic Implantable Cardioverter Defibrillator (AICD) is indicated in all patients with severe LV dysfunction (EF<30-35%). Patients with moderate LV dysfunction and Nonsustained VT (NSVT) on ECG are also candidates for AICD. People with HCM are benefitted with AICD if they have marked hypertrophy, NSVT, family history of SCD or if they have unexplained syncope. Brugada and QT syndromes are also treated with ACIDs. Syncope evaluation is a key function of an EP specialist. His job is to weed out the life threatening causes and to prevent symptomatic recurrences. A Tilt Table Test is a simple test for neurocardiogenic syncope that is usually benign. An EP study is very useful in patients with giddiness / syncope if they have LBBB, suspicion of conduction system disease or a structurally abnormal heart (Post MI or LV dysfunction). A 24 hour Holter monitor does not detect most arrhythmical and is not useful if the patient had no symptomatic episodes during the monitored period. Event monitors which are now available in India can be worn for a week to months and can detect paroxysmal episodes. 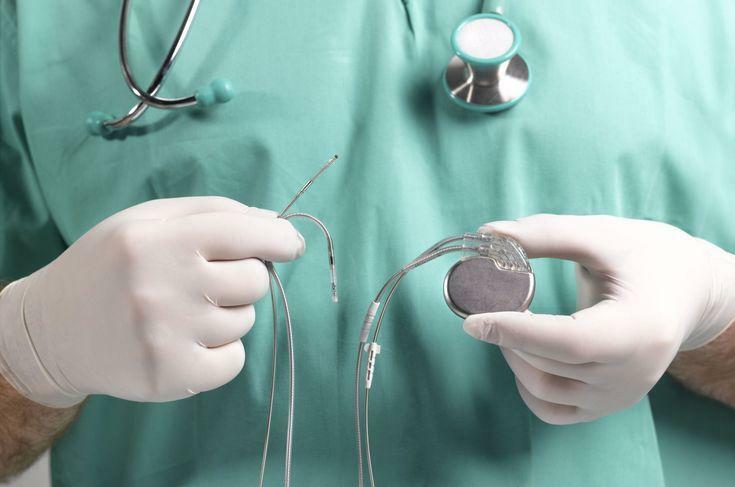 Small implantable devices are also useful in patients that have syncopes very rarely.